The early months of my boys’ lives were tricky for us all. They had arrived eight weeks prematurely which brought its own issues and concerns. 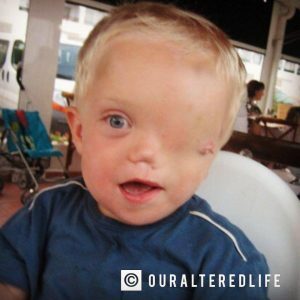 Harry had been born with a rare syndrome which meant that feeding him was a challenge and I was struggling to get my head around it all! By the time the boys were about three years old, my Mum must have suggested that I take Harry in particular for craniosacral therapy at least 200 times. I love my mum dearly and she was trying to help her daughter who was clearly struggling with the unexpected changes to life but I didn’t want to listen. Then, after Harry had been diagnosed with Autism I read a book about another family’s journey. They had taken their son for the same therapy that my mum had been suggesting and so I decided there and then that I would give it a go (probably much to her relief and annoyance). Our first session with Nicola was eventful, to say the least. Harry screamed and tried to get out of the therapy room many times even though Nicola wasn’t even touching him. I hated seeing him so anxious but I trusted Nicola and tried to calm Harry through the session. In the days afterward, he was more hyper than ever and his Dad asked me not to take him back again. But something inside me said that I could trust this process and so we agreed to give it five more visits before making a final decision. By the time we reached visit number six, the changes in Harry were incredible. Even school had commented on how much calmer he seemed and that he was happier to engage in his learning. I continued to take Harry, and Oliver, for fortnightly sessions for over a year and then sporadically for the next 6 – 7 years. In that time, I also had one to one sessions on my own which gave me a safe space to offload, to work through my misplaced guilt and grief and literally topped me up my energy levels. 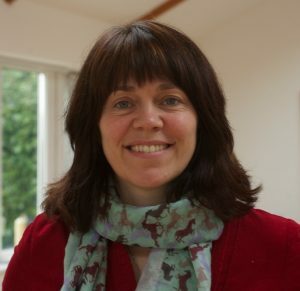 So, Nicola, can you tell me what craniosacral therapy is? It’s a way of listening to somebody’s body, mind and spirit through either contact with the hands or listening with the heart. It is not a technique that can be described easily, as there are many facets to a session depending on what individuals need. In terms of anatomy: The cranial nerves are linked to all the systems of in the body so when we are birthed they (the systems) essentially ‘come online’. Any disruption in that process can set the pattern for the future, the baseline of the central nervous system and in turn, can influence how resilient someone may or may not be with regards to stress. And why do people come to you? People come for lots of reasons and everyone has their own motivator. 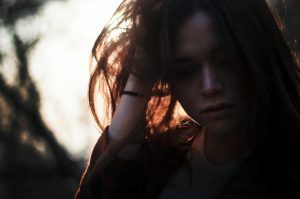 It might be physical pain that motivates people to book a session, or psycho-somatic pain, which is the bodies way of communicating something to us or a psycho-emotional component such as a belief which no longer serves us which can cause a distress in some way. Loneliness, a longing or a sense of something missing, may motivate someone to get in touch. All of which can be met through having sessions, CST helps people to find connection again with themselves and others. CST can help a range of acute and chronic physical issues. Modern day stresses and hectic lifestyles mean that we burn ourselves out quickly and our emotional and physical health become compromised. Stress: People are triggered into a fight or flight stress response more often than we think. Parts of our bodies contract as we adopt defensive postures, our breathing gets quicker, and our digestive systems shut down. Our immune systems also become compromised and we struggle to think clearly when in ‘survival mode’. CST can help us shift into a more relaxed state of being where we can start to function more optimally on every level. Tinnitus: Within my practice, I have had success with people with tinnitus, which is said to be incurable (misinformation). 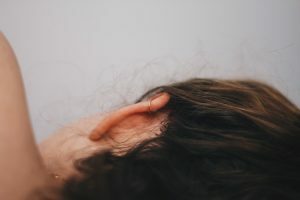 Quite often, people with tinnitus have had a trauma of some sort and it can be worked with through by down regulating the central nervous system, a change in diet, and with support, by helping people to recognise the triggers that can take them into overwhelm. 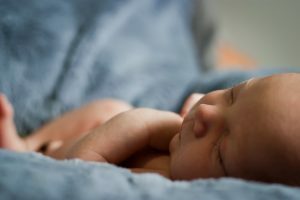 Birth interventions: With babies, it can be helpful after a difficult birth. It can help to rebalance the body after deliveries involving ventouse or forceps when the organs can get mauled through the pulling and forces in that kind of situation. It’s about supporting the body to function optimally. It can also help with babies for reflux, colic, asymmetry of the head, torticollis, newborn foot, sleep disturbance. It can help babies with shock when they have been delivered quickly and first breath syndrome. New Mums: to help mum to rest, restore and recover from birthing. Motherhood is often a time when energy is depleted so it important to make sure that mum is as resourced as she can be too. It can also help with a smooth transition into parenthood. I work with babies and toddlers up to young adults. Usually, parents come to see me because of the behavioural issues, speech and language concerns, sleep issues or a sense of their child being agitated, always on the go and not able to rest. Or that they are struggling in some way to cope with situations that they are being put in. Some people come hoping that I can help their child and others come because they are at the end of their tether and just want to try something new. Yes, that was very much me! Super apprehensive but willing to give it a go. Is there anyone you couldn’t help with the therapy? No. It’s not like there are any contraindications (side effects) and nothing I do interferes with medication or other therapies although it would be useful to do one at a time and know what is working for you. So, what would a typical session look like? A typical session is 1 hour long. Initially, the practitioner takes a case history and aims to build a trusting relationship over time. With adults work usually, but not always, takes place on a treatment table. The client remains fully clothed. With children, it can take a couple or more sessions to build enough trust for contact to occur (which is always with the parent present). 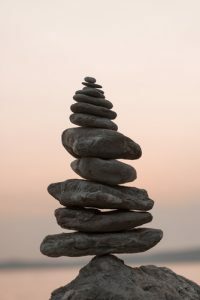 Its client led so as a practitioner I aim to remain open to meet the client where they are at that time but generally speaking it is hoped that over a period of sessions, facilitate them to rebalance and regulate their CNS and find the inherent health within them. Not always. Sometimes the work happens energetically within the dynamic that is created. It is quite common in sessions for me to work with and through mums holding their babies. On the floor whilst a toddler is playing. Sometimes, touch is not appropriate. When I used to bring the boys regularly, I know that you said a couple of times that actually it had been me more than them that needed the session. Do you find that often? Yes. No one lives in isolation and within a family dynamic if the main care giver is under stress, exhausted and overwhelmed their capacity to hold the family unit becomes less possible. 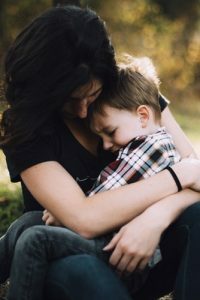 Children are especially keyed into the energetic dynamic and therefore sometimes it can be useful to help parents find their inner calm in order to help the children. Sometimes you find that the it’s the children who bring the parents on an energetic level. I like that. What would you say are the main challenges for parents and practitioners in having and giving the therapy? Results can sometimes be seen quickly and sometimes it takes a bit of time. Either way, the work has to be paced steadily and little and often is best in terms of sessions over a period of time. Often people feel that things have been resolved in a few sessions but often you’re just scratching the surface and more work can lead to longer-term benefits. I also recognise that it’s hard for parents who may not see any visual component or practical input from the practitioner as they might in other interventions/therapies and they may wonder what ‘is being done’ the work I do can be hard to evidence before the results come. My experience has shown me that kids may rage and scream within a session as Harry did in your first sessions. The challenge for me can be to help the parent to be ok with the level of distress without trying to intervene. Often, it’s all the ‘stuff’ that the child has held on to like pain, anger, distress etc and it just needs to come out. 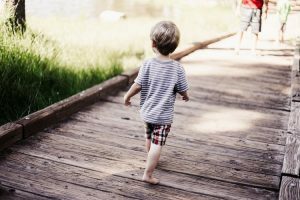 As a parent myself, I recognise that we can be quick to jump in and rescue the child or stop the behaviour as it can trigger things within ourselves. The challenge as a practitioner can be to educate parents that we sometimes must let the emotions and behaviour be as big as it needs to be within the safe space so that the child can process their emotions whilst being heard, seen and met with unconditional love. The role here is to support all during this delicate process. Finally, I’d say that this sort of work can be very confronting for parents. Its never about judgment but it can throw stuff up for the parents about their own processes. The dynamics and the ways in which they were parented are in the mix too and can be a challenge for the parent to sit with but it’s worth working through as it benefits everyone. I know it definitely helped me to reflect on and deal with my own childhood issues even though that was never the intention of the sessions with the boys so I can see how that would happen. I know that when I came to you for my 1-1 sessions, some weeks we did a lot of talking. What’s the difference between counselling and craniosacral therapy? As practitioners, we can support people to regulate their Central Nervous System which you don’t get with counselling. We can hear the words but also tune into the body to see how the body is responding or reacting to what’s being said. You’re coming into relationship with somebody’s inner landscape and sometimes people don’t even know themselves what is inside. CST helps to integrate the mind and body. Lots of people live in their heads and don’t always connect the head experience and the body experience, so the intention of a CST session can be about bringing the two together. And how much do sessions costs? Sessions can cost anywhere between £40-£60 depending on where you are in the country. I charge £45 for 1-hour session at Torus Wellbeing Clinic but I can do home visits for £60 within a reasonable distance. This can be useful for mums and newborns and for children with autism who may prefer the home setting while they get to know me. I often tell people that the cranio helped Harry. Why do you think it did, or is it just one of those things? Hmmm good question. I felt that he trusted me, and we developed a relationship over the years, be it on an energetic level, I knew that he was at ease with the work I was doing. We were able to establish a good connection. The connection between the practitioner and the child is so important. If someone was taking their child for the first time I would say to give it three or 4 sessions to get a sense of whether that practitioner was the right person or not. Thanks loads Nicola. Not just for the interview but for all the work you did with me and the boys. I’m so glad I put my reservations to one side and came to see you all that time ago. My pleasure, give the boys a big squeeze from me.